Eastpak is looking for a Front-End Web Developer who is experienced in interpreting graphic designs, using the art of programming to make them reality. Our digital team is committed to constantly deliver a best-in-class online experience. We are looking for a passionate and forward-thinking individual who stands out from the crowd. Send your CV for the chance to work in an extremely friendly and supportive working environment. 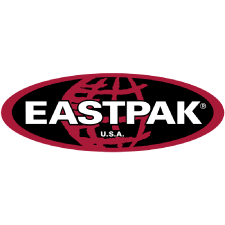 Eastpak was founded in 1952 and evolved from a manufacturer of military issue backpacks and duffels into the leading supplier of stylish, functional solutions for city living and the things you carry with you. From street-smart backpacks to convenient shoulder bags and ingenious luggage and travel items, every Eastpak bag or accessory is designed to let you cram more life and excitement into your day, whether moving across town or across the globe. Eastpak is part of VF Corporation, a world player famous for its well-known brands, such as Kipling, Timberland, Napapijri, The North Face and Vans. In Europe, VF employs more than 7.000 associates . In Belgium, the entire VF team, consists of 800 enthusiastic employees who continuously work on the expansion of our company. We are looking for a Front-End Web Developer who is experienced in interpreting graphic designs, using the art of programming to make them reality. Responsibilities will include creating UI/UX wireframes and coding visual elements of the website. Technical implementation of graphic designs and content pages will play a key role of the job, helping to define how the website looks and functions. You report into our Customer Experience Manager.